Hello everyone, it's Yani here! I was asked by my friend Alberto from Shaky A. Stamps to create a video using one of his images, so here it is! The beautiful image is *Penelope in the Ocean* by Shaky A. stamps, of course ;) And she was colored with Prismacolor Pencils, like you will see in the video. 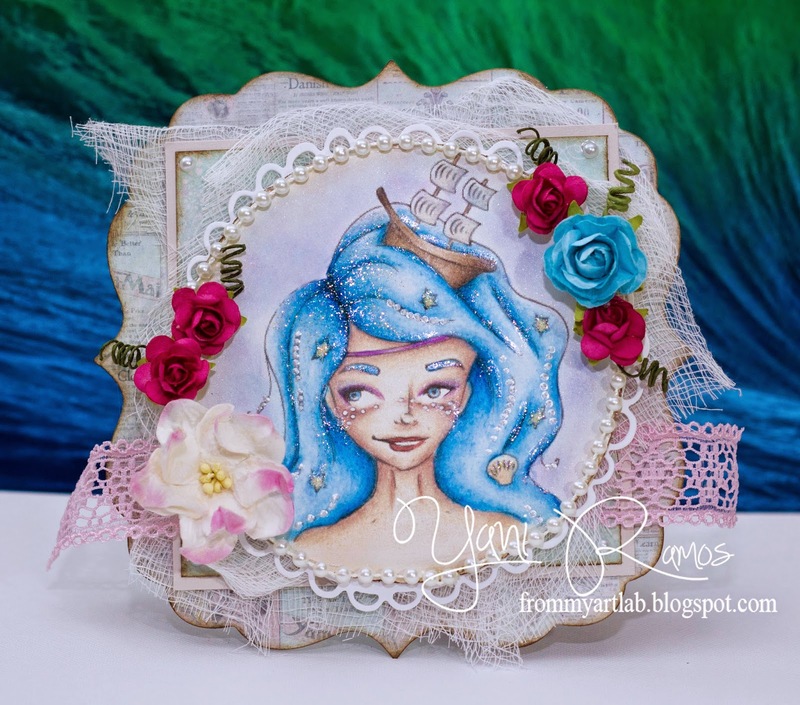 I also added stickles and liquid pearls to her face and hair to make it *pop* a little bit ;) Papers are Maya Road and flowers are Wild Orchid Crafts. The doily is Magnolia and the rest are trims and cheese cloth. Big hugs, Yani and the Shaky A. design team! Loooved your Video! Thanks for the Tutorial, Fantastic Card!